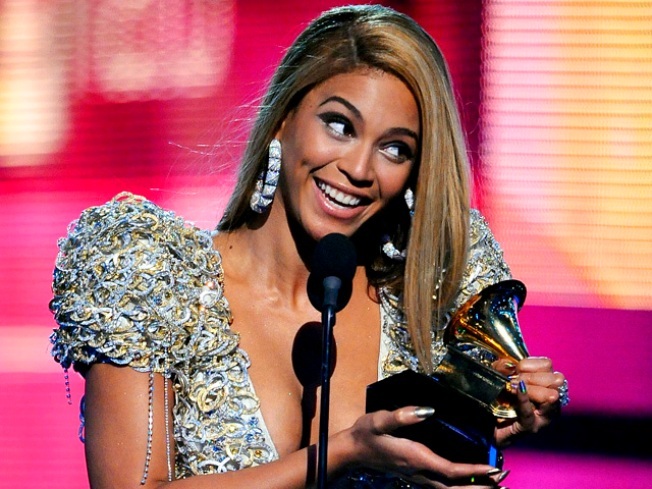 It was hard to argue with Beyonce's Grammy haul. Every year, they hold the Grammy Awards, and every year, the night ends with one artist holding a jillion little Grammy trophies in their arms and smiling at the cameras, stunned and delighted by their newfound largesse. And this year’s Grammys were no different, featuring Beyonce winning a record SIX Grammys, including Song of the Year. Also taking home a Santa’s sack of goodies was Taylor Swift, who won four Grammys of her own. What was seemingly different about this year’s Grammys is that no old fogy artist won in ANY of the big time categories (Song, Record, Album, etc). Even the big upset winners were young bucks like Kings of Leon, who won Record of the Year for “Use Somebody.” Usually, these awards are dominated by the likes of older artists like Santana, Herbie Hancock, and Robert Plant and Allison Krauss. And, when the old fogies don’t win, the trophies are usually reserved for young people who write music that is old at heart (Norah Jones). This year was different. Not only is Swift a young artist, but she writes music that almost strictly designed to appeal to her age group. The fact that she took home so many trophies in spite of that (and despite offering an extremely lackluster duet with Stevie Nicks for the show) is quite a change of pace. I’m amazed they didn’t find a way to make Herb Alpert be nominated in every category and win everything, because that’s the usual Grammy move. In fact, the entire night played more like an auto show than an awards ceremony! LOOK AT OUR COOL, FUTURISTIC NEW MODELS! YOU CAN INVEST IN THE GRAMMYS AGAIN! From Lady Gaga upstaging Elton John to the point where you didn’t really know why Elton needed to be there, to Pink singing while performing a Cirque de Soleil routine, to Michael Jackson’s children taking the stage and making you feel bad one more time for making fun of their daddy when he was alive, this Grammy night was among the more lively and youthful in quite some time. One can only hope it stays that way.